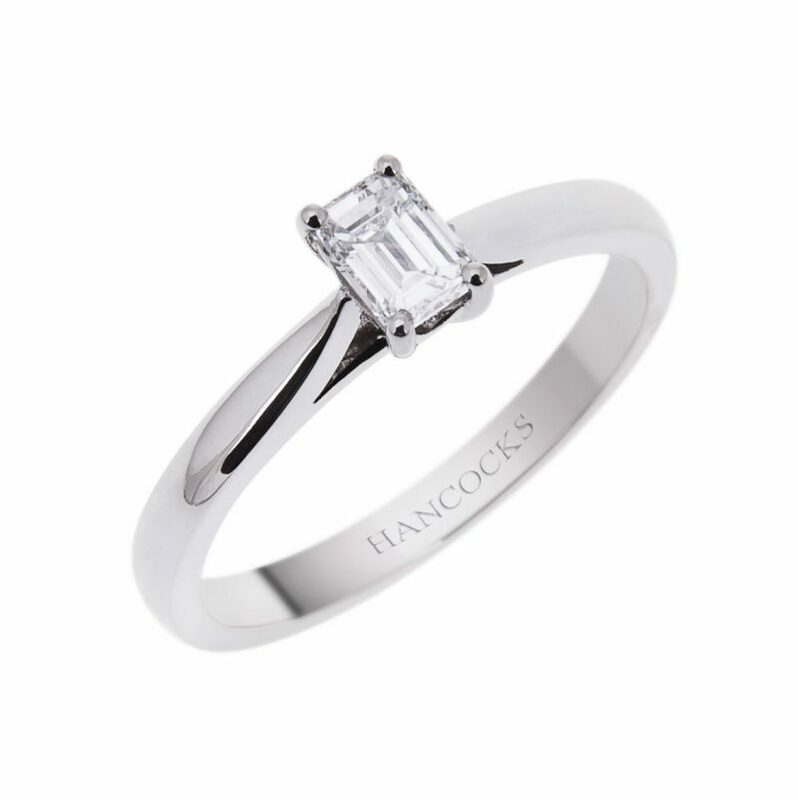 Mounted in a platinum 4-claw setting this GIA certificated emerald cut diamond solitaire has been awarded the highest D colour grade possible. 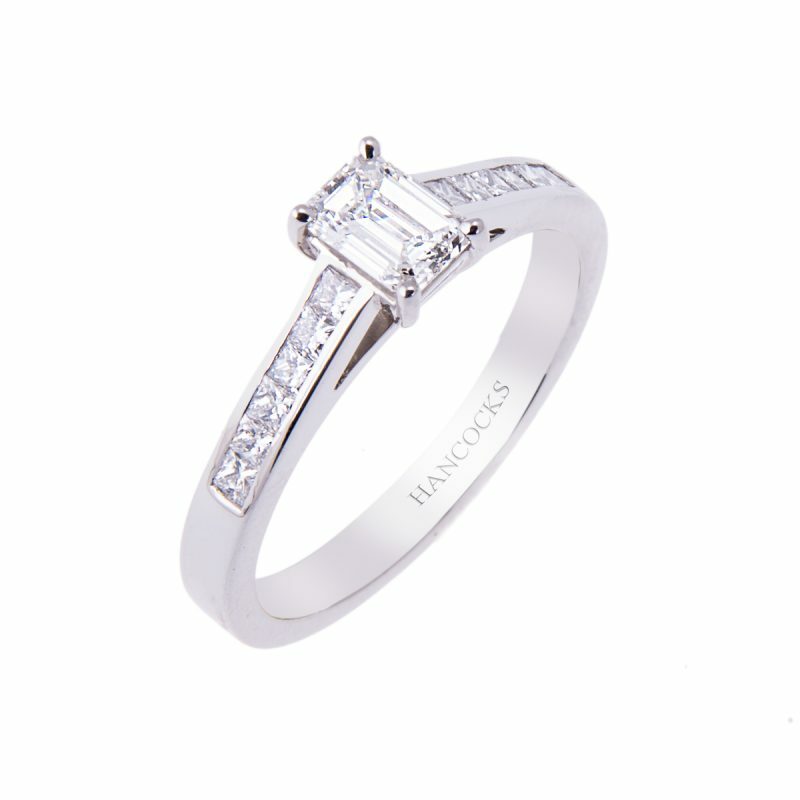 Excellence continues with its clarity and its VS1 clarity allows the diamond exhibits unparalleled fire and brilliance which is so important in this understated elegant cut. 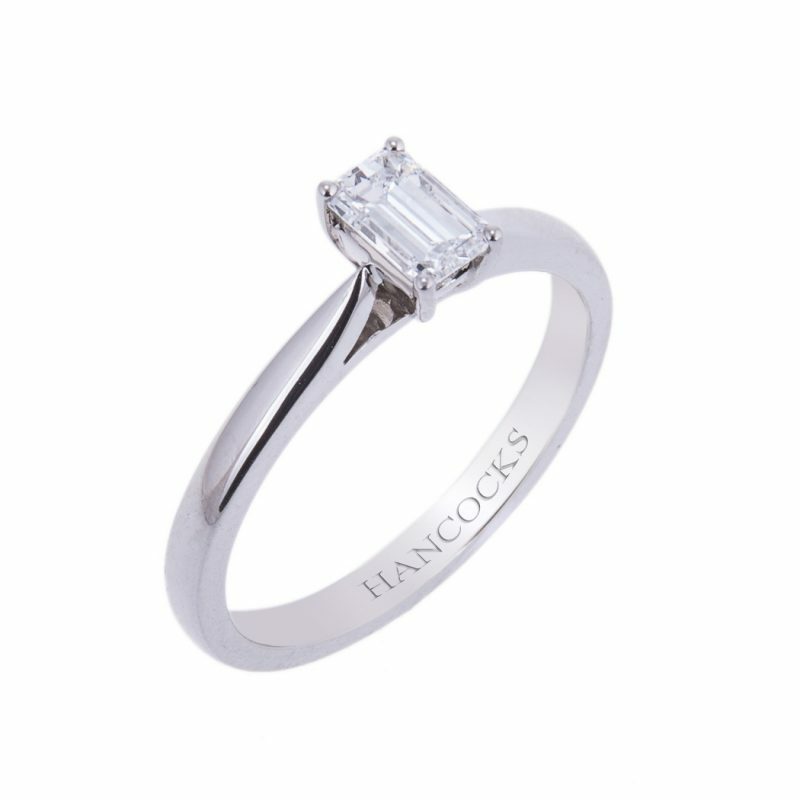 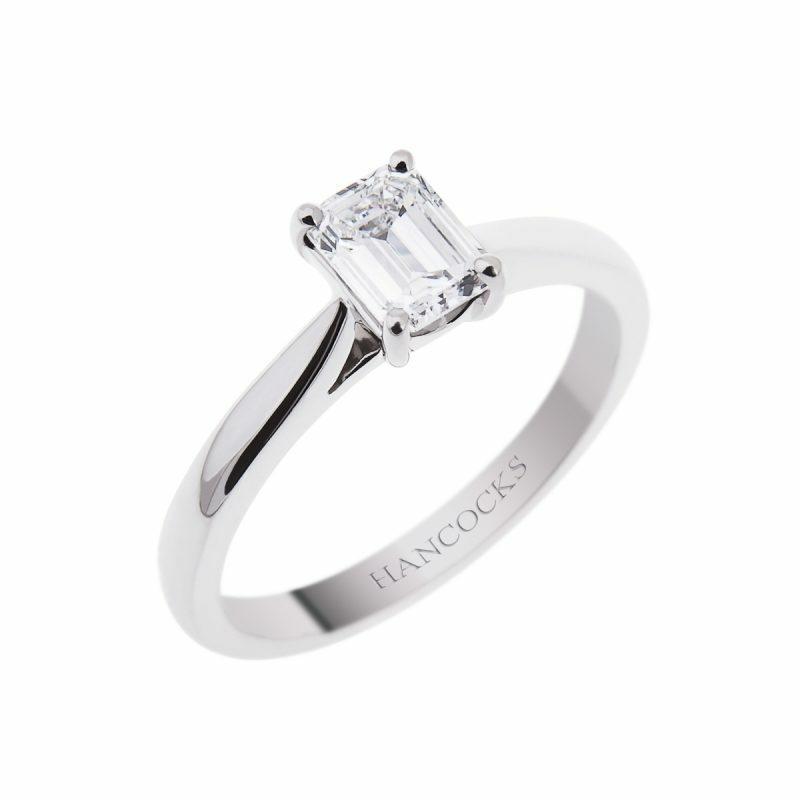 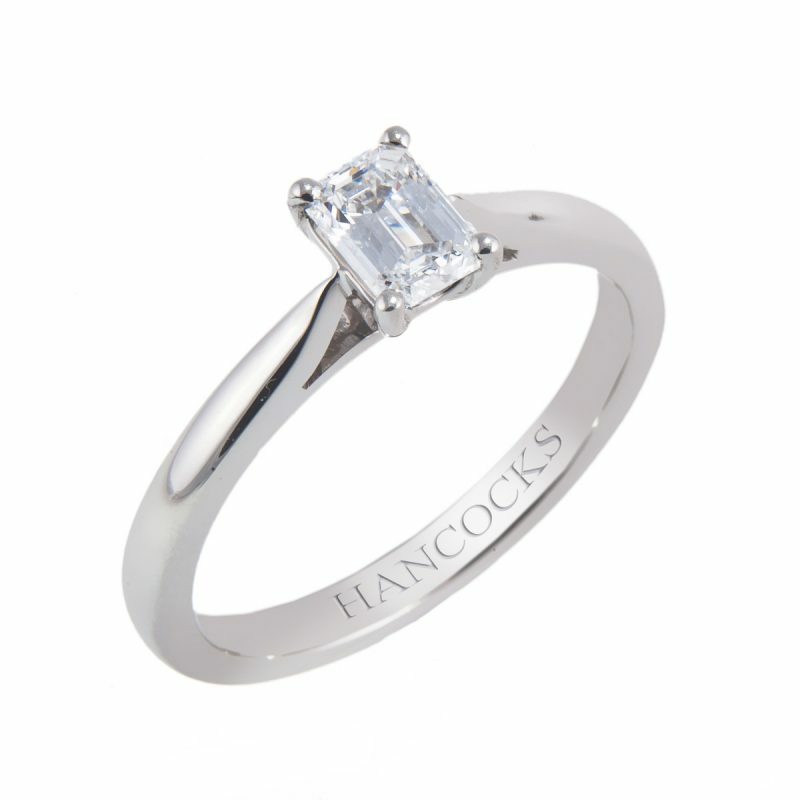 The clever under wire setting allows any of Hancocks wedding rings to sit snuggly making it the perfect choice for an engagement ring.